Cape Town - Former Proteas coach Ray Jennings says Jacques Kallis is a must for the final Test against Australia in Perth, even if he's not 100% fit. Kallis picked up a hamstring injury in the second Test in Adelaide which meant he was unable to bowl. However, he still came out to bat and made valuable contributions in both innings. He scored 58 in the first innings and then batted for 149 minutes, scoring 46, to help his team stage a remarkable draw. Question marks now hang over Kallis's availability for the third and deciding Test, which starts in Perth on Friday. 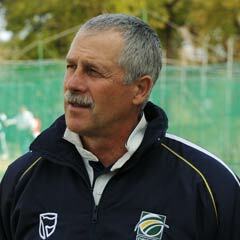 However, Jennings - who coached South Africa from 2004-2005 - says Kallis should play even if he can't bowl. "I'll pick him, even if he's only 80% fit, because his name on the scoreboard already means a lot," he told the Beeld website. "He is of immense importance to the team, especially if there are a few younger players." Jennings said he would also drop out-of-form leg-spinner Imran Tahir. Tahir had a horrible Test in Adelaide, finishing with match figures of 0/260 (23-0-180-0 and 14-1-80-0) to earn the unwanted record of becoming the most expensive bowler in Test match history without bagging a solitary wicket. "I know he can be a match winner but he's confidence is so low that Robin Peterson should rather get a chance." Australia can wrestle the No 1 Test ranking from South Africa if they win the match in Perth, with the series currently level at 0-0 going into Friday's clash. HAVE YOUR SAY: Do you agree with Ray Jennings? Should the Proteas risk playing an injured Jacques Kallis or rather pick a lessor player who is 100% fit? Send your thoughts to Sport24.